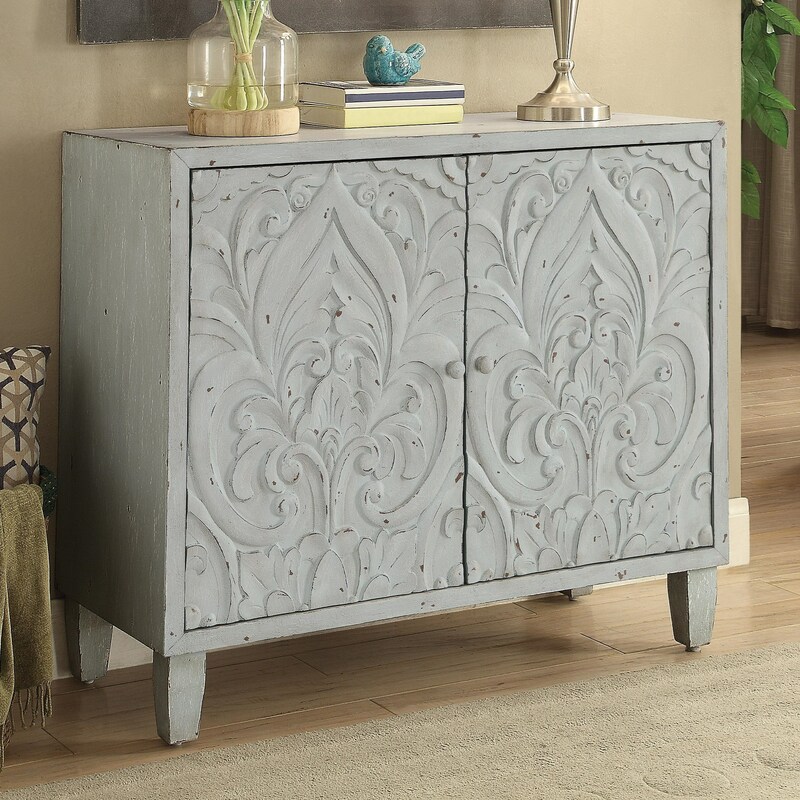 This shabby chic accent cabinet has a distressed white finish and lovely floral patterns decorating the door fronts. Perfect to place a lamp or plant on, this piece will look great in a front hallway or living room. The Accent Cabinets Accent Cabinet with Floral Door Design by Coaster from Nashco Furniture - Nashville. We proudly serve the Nashville, Franklin, Brentwood, Clarksville, Green Hills, Davidson County, Williamson County, Tennessee area. Product availability may vary. Contact us for the most current availability on this product.